Part of my Anticipating Change project research, taken from my minutes from the group meeting on 07/10/14. Materials can be used to promote human response through passive and interactive methods. In the project ‘A body of skin’, material is used passively to cause an emotional response when the product is used by the consumer. Pink dyed leather is used to emulate human flesh and initiate an internal reaction akin to the skin-on-skin contact that is seen to be so important to newborn infants. Interactive materials can also be used to evoke a connection to a product. 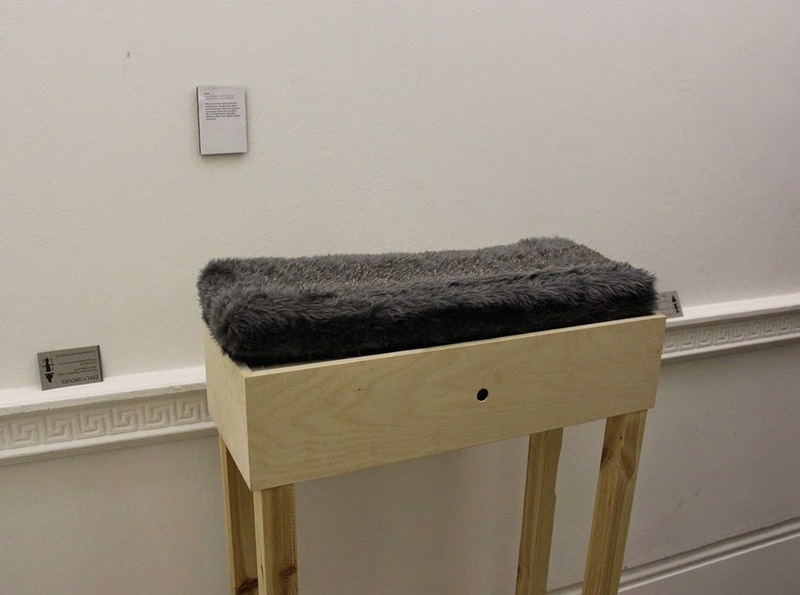 In the project ‘Mew’, fur fabric woven with conductive thread is used with a pressure plate to allow the user to stroke the object, which then measures this input and reacts by outputting a noise. This project was a collaboration between students on Design Products, Information Experience Design and Visual Communication courses at the Royal College of Art in London. The ‘GER Mood Sweater’ also takes input from the human user, but in this case the sweater uses temperature changes in the wearer associated with mood change and reflects a colour onto the user with respect to their temperature – e.g. Blushing/embarrassment causes a temperature raise, read by the smart material in the sweater and producing a red light. Smart materials can also be used to highlight how technology affects our daily life. X.Pose is a 3D printed corset that uses smart material that becomes transparent as the user transmits Meta data about themselves through mobile apps such as facebook and twitter. Though materiality and connection with materials can be heavily influenced by technology and smart materials through electronic feedback, more traditional materials can also evoke emotional connections through tactile feedback and novel usage. 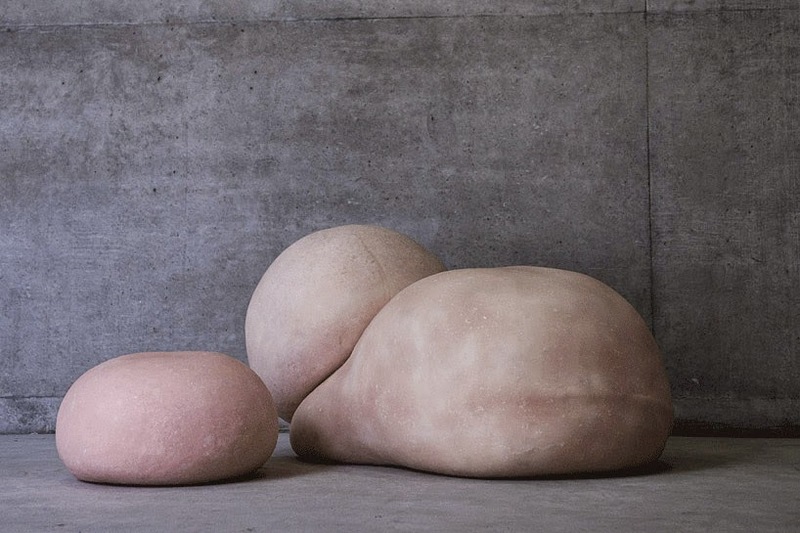 Discussion Points: Materiality and the concept of material value is increasingly important in contemporary craft, but often looses importance in other design areas such as furniture and product design. Design trade shows such as 100% Design focused heavily this year on re-purposing items such as floorboards, that had visible historic value (paint splatters, visible age etc) and juxtaposing them with brand new items in the home. In terms of antiques, it is noted that things become more valuable with age often because of the skill involved with their creation; the contradiction to this is Victorian furniture which, though it has a more solid construction, is less valuable in monetary terms than modern cheap furniture as it is seen as out of fashion. It was also during Victorian times that furniture began to be mass produced and so fashion trends became much more important, leading to the trend of “mass produced garbage” that we recognise in many objects nowadays. Thus, we conclude that it is not only time that adds value to material, but that it also depends on the cyclic trends of fashion, and of course the specific qualities of the material itself, such as its rarity.